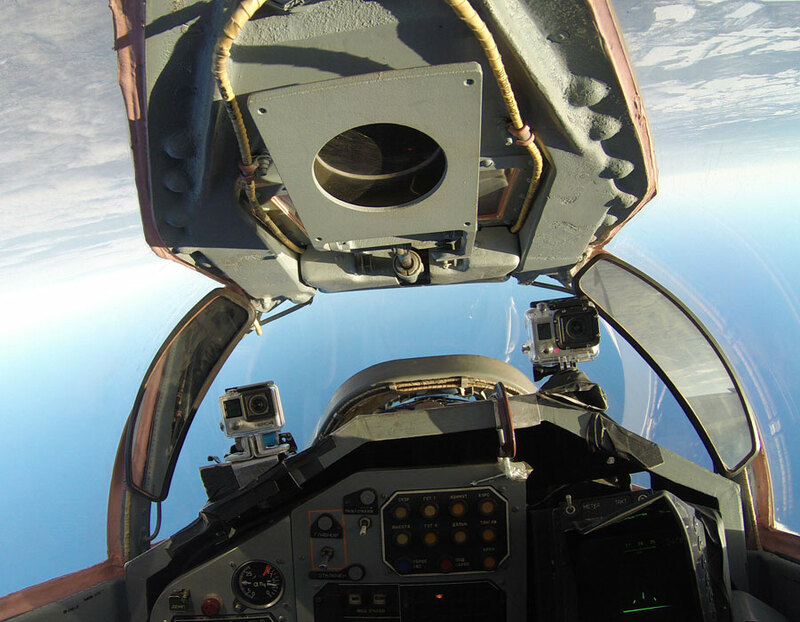 This Jet Fighter is a legend and backbone of many Air Forces – fly with the aerodynamically unique MiG-29 Fulcrum. The Mikoyan MiG-29 Fulcrum(Микоян МиГ-29) is the embodiment of a Russian military aircraft. The interceptor and multirole fighter aircraft MiG-29 Fulcrum uniquely combines unbelievable manoeuvrability with great speed. 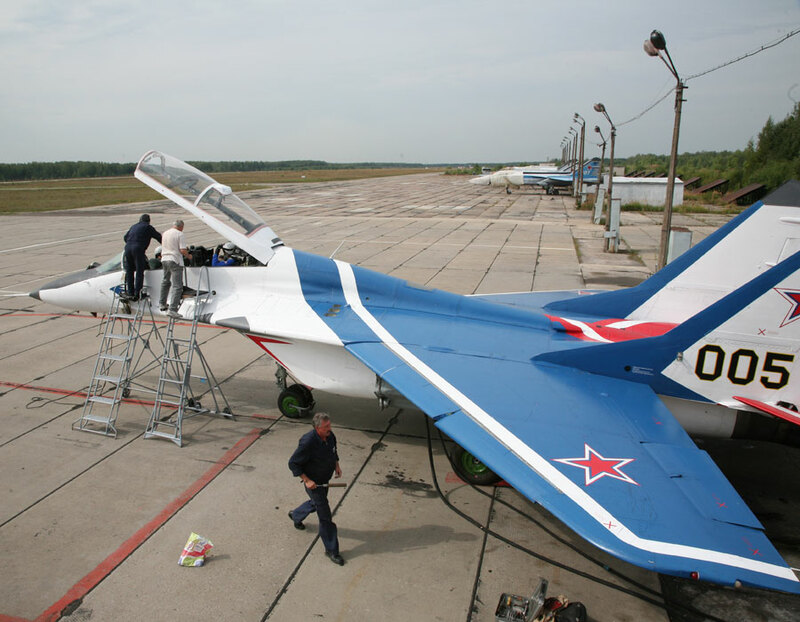 The first MiG-29 Fulcrum airframes were delivered to the Soviet Air Force in 1983. The MiG-29 Fulcrum was exported to numerous countries: Until today, more than 1’500 aircraft in various versions of the air superiority fighter MiG-29 were built. The MiG-29 Fulcrum is a modern 4th generation supersonic fighter that can achieve more than double the speed of sound. The aircraft is comparable with the American Boeing F/A-18 Hornet or the General Dynamics F-16 Fighting Falcon. After Germany’s reunification, a whole squadron of MiG-29 Fulcrum aircraft came into possession of the German Air Forces. Western military advisors were astounded by the MiG’s performance after they analyzed its flight characteristics. No western fighter could rival the MiG on a similarly high level. The flight characteristics were only matched by modern aircraft like the Eurofighter EF2000 Typhoon or the Lockheed Martin F-22 Raptor, thirty years later. The MiG-29’s flat fuselage contributes approximately 40% of the lift. This makes the MiG unbeatable in dogfights, especially at low speeds. 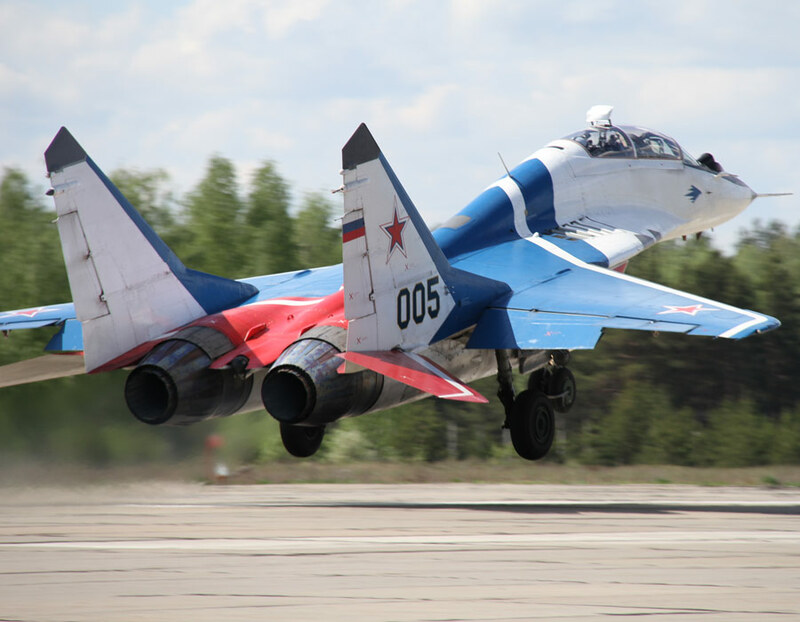 The further development of the MiG-29 Fulcrum OWT with 3D thrust vectoring amazes air show spectators with manoeuvres that seem to defy physics – distractions that intend to disorientate enemy pilots. The “MiG Aircraft” was often used as an umbrella term for all Soviet-built aircraft. So sometimes you can see aircraft from other manufacturers like Suchoj being called a “MiG”. 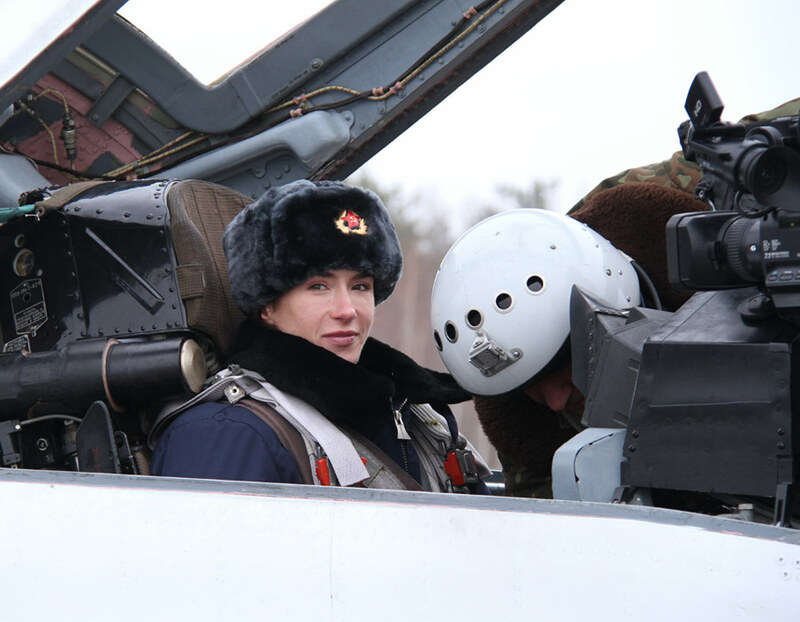 The flight and manoeuvring capabilities at low speeds and/or at high angles of attack – essential for close combat – are unrivalled by the MiG’s western counterparts. The MiG-29 Fulcrum has two Klimow/Sarkisow RD-33 reheated turbofan engines, which each produce more thrust with afterburner then any single equivalent western engine.